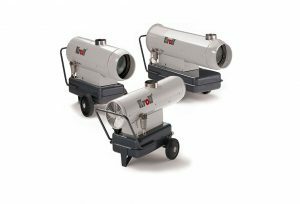 These Marquee Heaters are indirect oil fired heaters – These reliable and efficient heaters are ideally suited in places where there is limited ventilation, as they can deliver high volumes of clean, dry, fume free heat safely and economically. 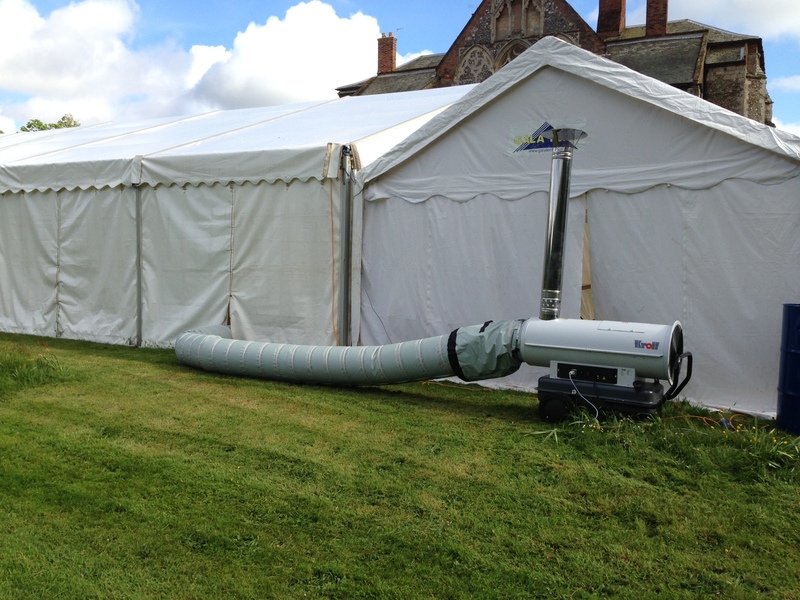 The MA Indirect oil fired heaters are especially suitable for marquees and outdoor events as they can be positioned outside with a warm air hose connected, delivering the heat to inside. The MA range are also ideal for exhibition halls, workshops, warehouses, construction sites, industrial environments, in fact virtually anywhere you need to keep warm. The fuel supply from the built-in tank is done via an integrated high-pressure pump with the MA models. 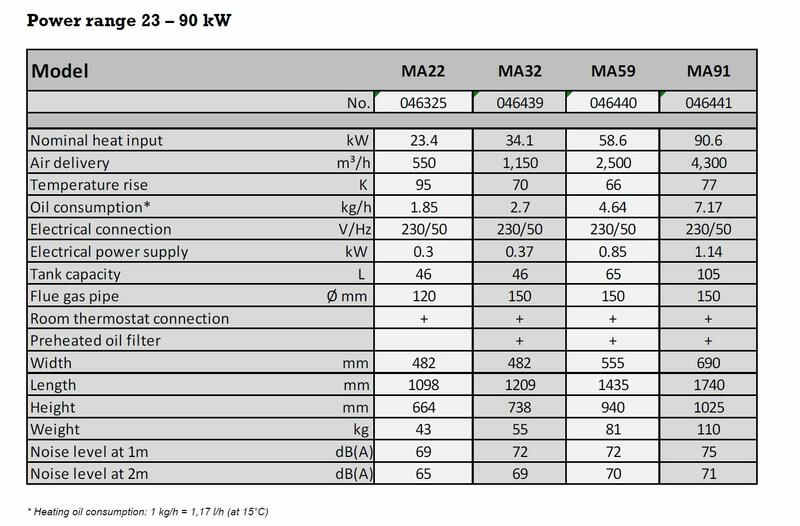 Furthermore, the MA models are equipped with a preheated oil filter (except model MA22) and a room thermostat connection and can be run with a warm air hose. • Heating and drying of building locations and all-weather projects. • Drying of buildings after flooding. • Heating of transit sheds, workshops and warehouses. • Especially suited for heating marquees, showrooms and sports halls. • Heating stables, sheds and workshops. • Drying of agricultural products. • Storing flower bulbs without risk of harmful ethylene emission. • Heating of greenhouses and polytunnels without risk of harmful CO2 and CO emission. Some people have been known to call these heaters for marquees , diesel space heater,marquee heater or even a oil fired heater, whatever you call them , they are an indirect oil heater , that allows warm air to be ducted into a marquee ,warehouse, factory or any other location that needs fresh warm air heating , without the dangerous CO2 ( carbon monoxide).